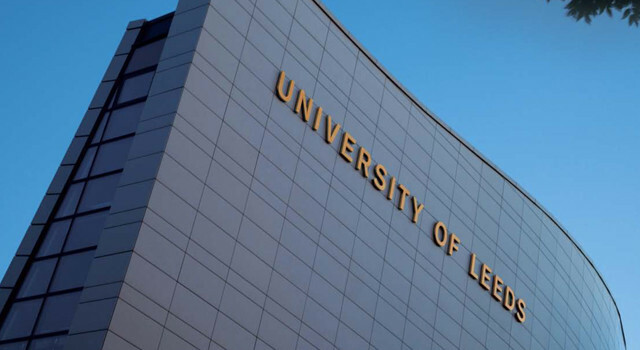 The University offers a wide range of conference facilities from a simple day meeting to a fully-managed residential conference, and all close to the heart of Leeds. It has major competition in and around the region and wanted to stand out as the place of choice to hold a conference or event. CQ2 were asked to develop an identity that built awareness. 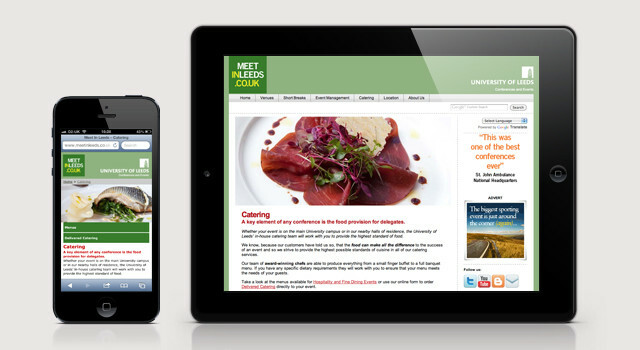 Having created the Meetinleeds brand, CQ2 designed and developed the main meetinleeds website and mobile site. The striking art direction of the venue interiors, the food and of course the architecture and the use of a strong colour palette help give the website instant impact. 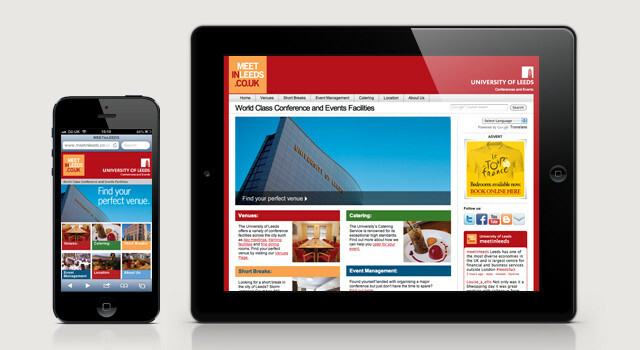 The site is informative, easy to navigate and incorporates virtual tours and video; e-brochures, printed material and online and press advertising.